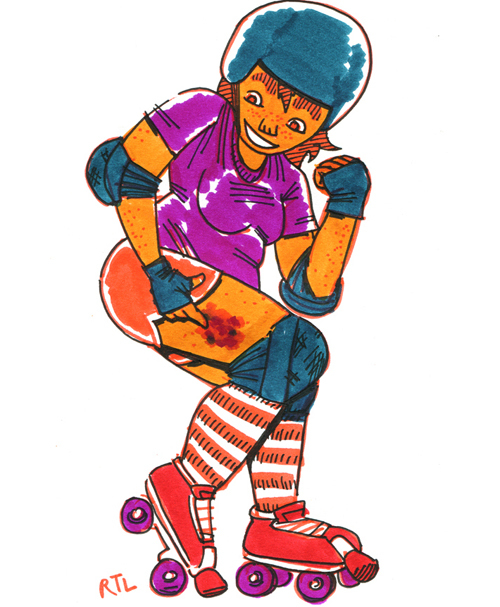 I wondered is there some strange new intersection between roller derby and illustration? 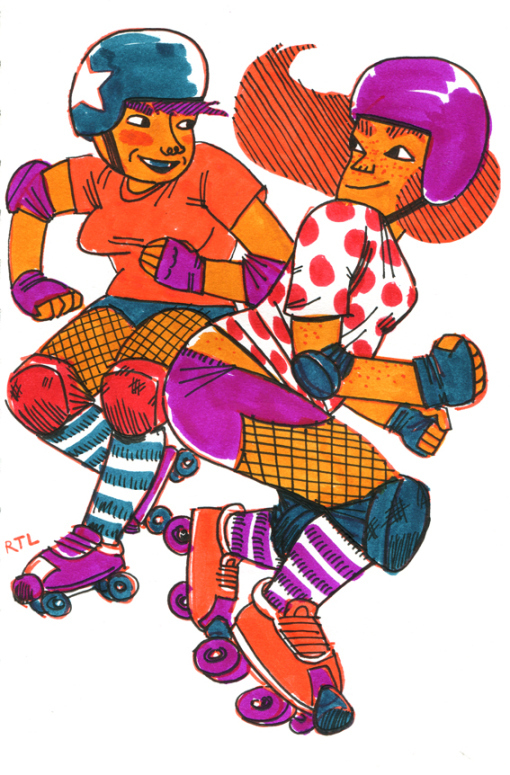 I wrote about Kutztown grad and illustrator Kate Santee who plays for the Lehigh Valley Rollergirls. Jessica Abel’s epic Trish Trash Roller Girl from Mars has just been released in France. Her fans, myself included, are clamoring for the English edition. Bobby Dazzler © 2015 Robin Tatlow-Lord. 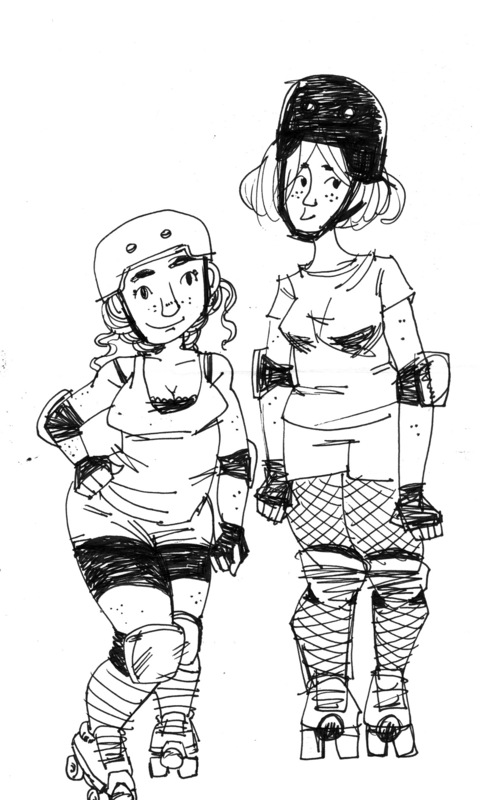 Her Roller Derby persona. I asked Robin, A.K.A. ‘Bobby Dazzler’ a few questions. First, is roller derby big in Australia? ‘Bonnie Adventuress’ (above) is a portrait of her pal, skater Bonnie ‘Bone Shaker’ Dowling, painted on recycled paper. Robin’s colorful Fresh Meat series is drawn entirely with brush pens. According to Robin’s website, the line art illustration below is from a few years back when lacy bras and fishnet stockings were more common. 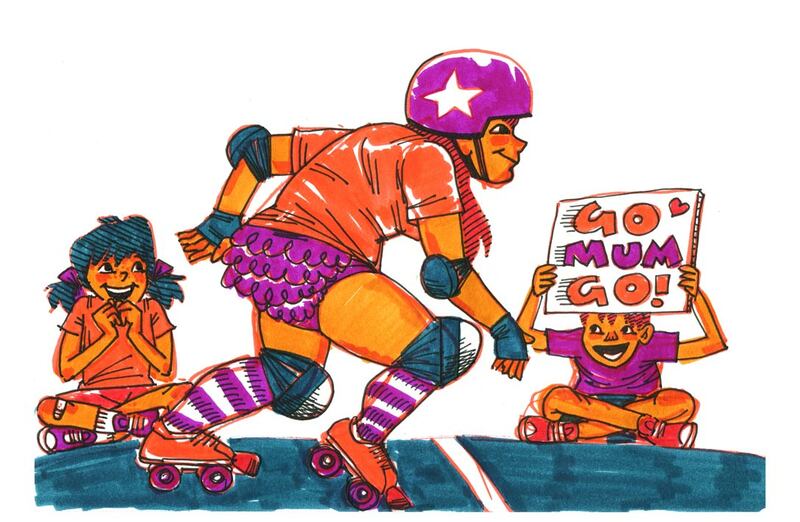 Question: There seems to be a new wave of comics and illustration celebrating roller derby. I am imagining this trend? 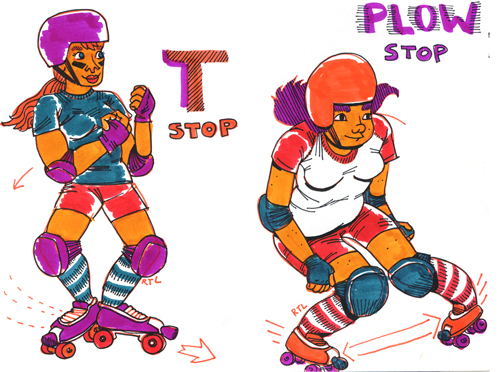 Robin wrote a guest post about the current crop of roller derby players who are also comic artists. Seems like the stars are aligned for that skater/creator comics anthology she mentioned. If your artwork fits that double bill, get in touch via her website. Meanwhile, do check out Robin’s website to see the full range of her talent.